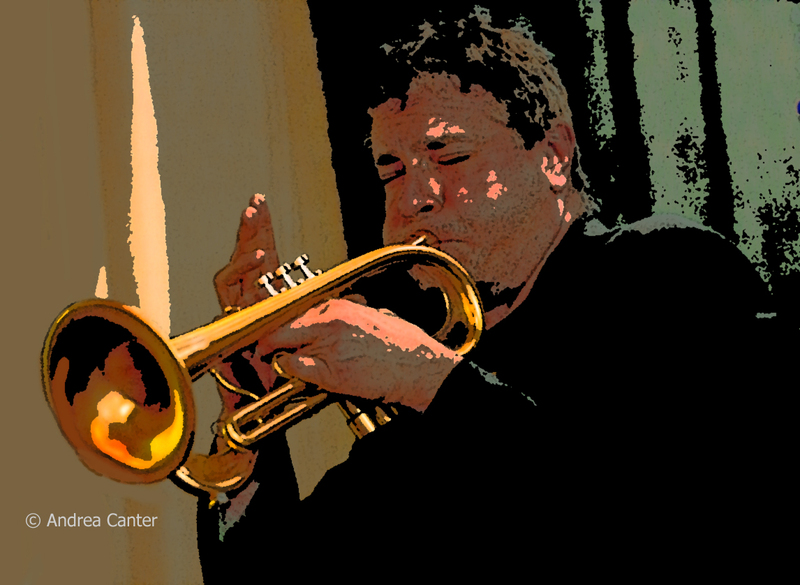 For many years, trumpeter Steve Kenny has led bands boasting as many young lions as elder statesmen. His “Bastids” had a five-year, weekly run at the Artists Quarter, followed by Group 47, starting out at the AQ before the club closed in late 2013. Steve Kenny’s Group 47– half of whom were barely in their 20s or younger–continues to be a popular ensemble on the local jazz scene. Steve also launched Central Standard Time, a cross-generational band that has performed at the Black Dog in St. Paul. Now Steve brings a new quartet to his own Saturday Night Jazz at the Black Dog series on March 26 (8:30 pm), and his cohorts are young lions who are significantly contributing to the Twin Cities jazzscape. Appearing with Kenny (on his trademark FLUMPET™) will be vibraphonist Levi Schwartzberg, bassist Ted Olsen, and drummer Rodney Ruckus. A daring duo of free-jazz saxophonists, John Devine and Bill Lang, will open at 7 pm. Saxophonists John Devine and Bill Lang have collaborated for more than 30 years, in duo and heading a quartet. 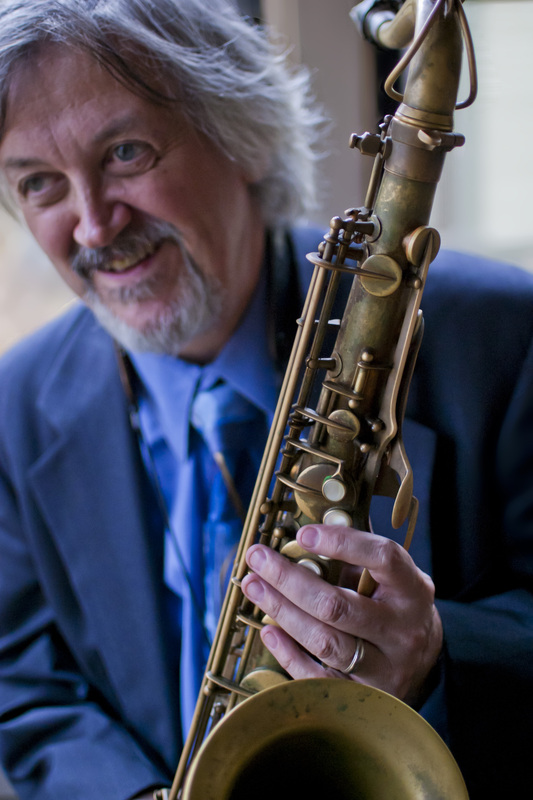 John Devine has been active on the Twin Cities jazz scene since returning from Arizona in 1980, playing with such bands as the John O’Brien Ensemble, Checkers, and the Twin Cities Saxophone Quartet; and leading his John Devine Saxophone Quartet, IMP ORK with Michelle Kinney, and more. He currently performs solo twice per week at the Loring Pasta Bar. Recipient of numerous awards and commissions, John was composer-in-residence at the American Dance Festival in 1990. Bill Lang has been performing and teaching saxophone and flute for over 30 years. He studied jazz and composition at the University of Wisconsin with Les Trimming, Jimmy Cheatham and Cecil Taylor. 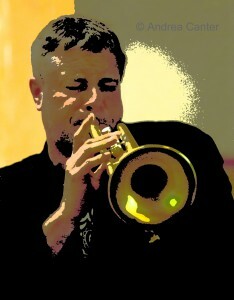 Currently Bill teaches at Eckroth Music and frequently pairs up with John Devine. He’s also played with Alden Ikeda, Mike Lewis, Carei Thomas and Ryan Olcott, among others. Steve Kenny studied at the University of Wisconsin-River Falls. Among many projects, he has performed with Pete Whitman’s Departure Point, Dave Karr, The Five, What Would Monk Do, and the Cedar Avenue Big Band. He’s best known as co-founder of the Illicit Sextet, an ensemble popular in the 1990s before taking a long hiatus, and now back in action with a new CD released last year. In addition to heading the Wednesday night early show at the Artists Quarter for five years, Steve also recently completed a run of 500 weekly gigs at Emma’s Bar in River Falls. Steve has received a Minnesota Music Award, West Bank School of Music Jazz Composer award, and multiple honors as Best Jazz Trumpet at the Eau Claire Jazz Festival. With support from a state arts board grant, he curated the ten-week “All Originals” jazz series at Studio Z in summer 2014, which recently completed a second season with a new grant. In fall 2014 he launched the weekly Saturday Night Jazz at the Black Dog series, and in spring 2015, brought a similar series (Friday Night Jazz) to The Nicollet. And that instrument he plays? It’s a Flumpet™– a hybrid trumpet/flugelhorn. 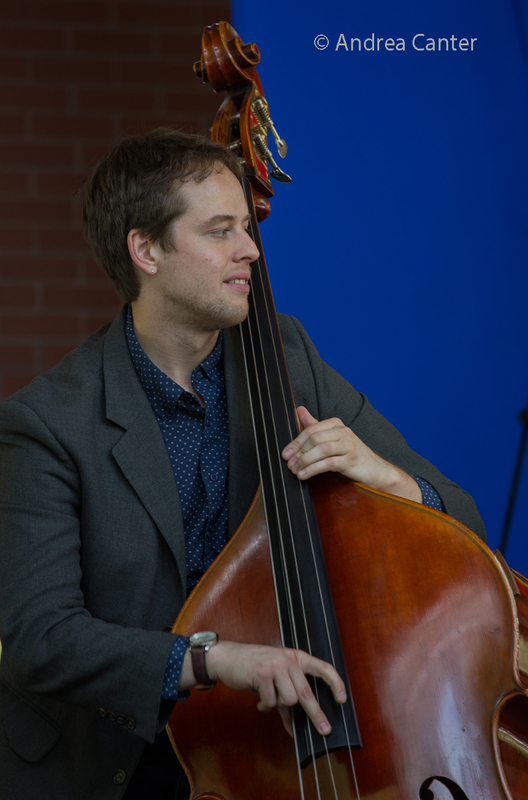 Levi Schwartzberg, just in his second year at the University of Minnesota, is already a veteran of four-mallet vibes performance; he is also an accomplished pianist, performing on both instruments in the U of M Jazz Combo. 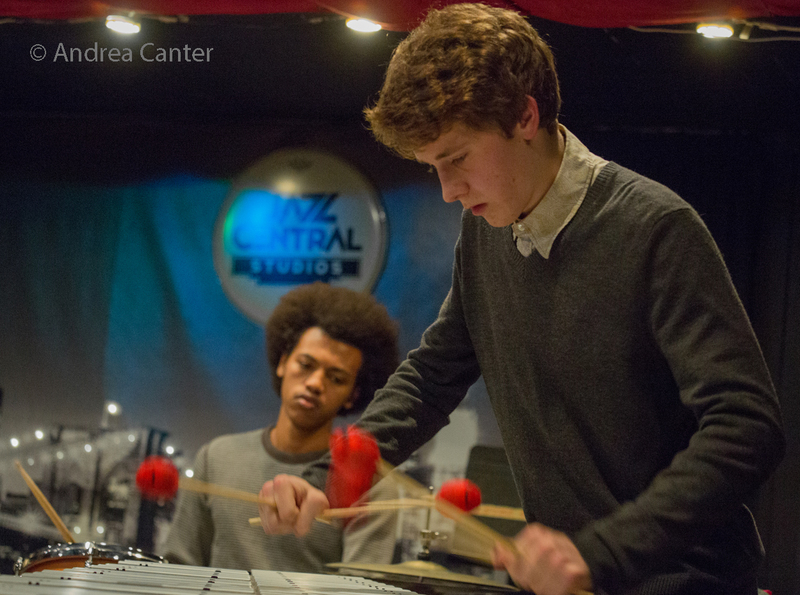 A graduate of Southwest High School who participated for two years with the Dakota Combo, Levi has led his own ensembles at Jazz Central, Black Dog and Khyber Pass Cafe as well as performing with Adam Linz’s Le Percheron, Steve Kenny, Will Kjeer, the Charlie Lincoln Group and more. Ted Olsen studied bass with Travis Schilling and Adam Linz. He graduated from St. Paul’s Como Park High School in 2010 and went on to study composition at Luther College in Decorah, IA, finishing college studies at the University of Northern Colorado in spring 2015. In the Twin Cities, Ted has taught at the Twin Cities Jazz Workshop and has performed as leader and sideman at various venues including the Artists Quarter, Jazz Central, Black Dog, Icehouse, Vieux Carré and Twin Cities Jazz Festival. He’s recently performed in a trio led by Chris Bates, with Joe Strachan. Drummer Rodney Ruckus is truly a multi-instrumentalist who also plays piano and bass. 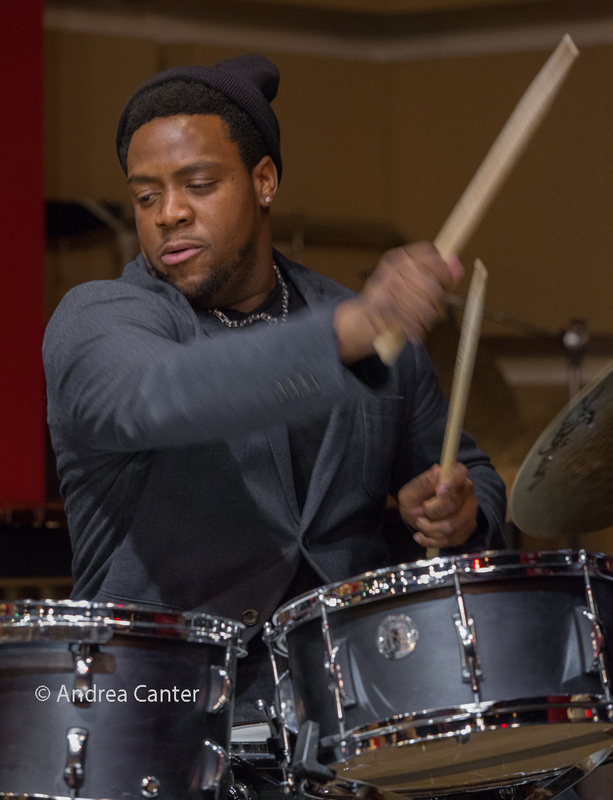 A graduate of the Berklee College of Music where he attended on full scholarship, he was also selected as drummer for The Grammys in the School Foundation and received an Art Blakey Jazz Messengers Presidential Scholarship to the McNally Smith College of Music. He has traveled all over the world playing with Tia Fuller, Ralph Peterson, Herbie Hancock, Billy Childs, John Patitucci, Joe Lovano, Roy Hargrove, Wynton Marsalis, Charles Lloyd, and more. He was recently the featured artist at Jazz Central Studios.